The Estadio Libertadores de América Stadium in Avellaneda looms as a great option to host Rugby World Cup matches should Argentina 2023 become a reality. The modern stadium has been used by the UAR previously as have all other venues profiled as possible Rugby World Cup 2023 stadiums. Such is the size and population of Argentina that finding twelve or more stadiums is far from being a problem. 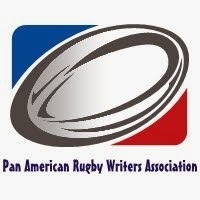 Moreover the need to have a sub-host like all World Cups in Europe too date would need not eventuate as Los Pumas are able to draw crowds nationwide. The stadium in Avellaneda is new, having been constructed from 2007-2009 as a redevelopment to the original stadium which was first constructed in 1928. It was South America's first cement constructed stadium and following its renovation has a capacity of 46,000 making it an ideal venue for Argentina 2023. 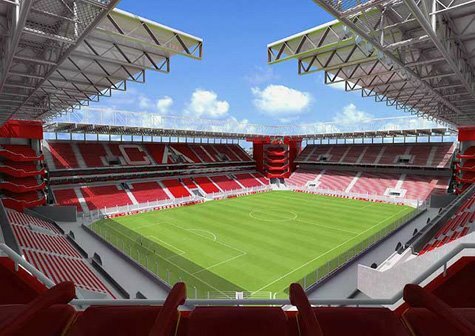 Being of European design the stadium features large screens and state of the art facilities. The Estadio Libertadores de América is sometimes also referred to as the La Doble Visera (The Double Cement Visor) in reference to the roofing which overhangs those seated at the stadium. The venue and city was selected to play host to international rugby for the first time ever in June 2011 as Los Pumas took on the French Barbarians in the first of two international matches - the second of which took place a week later in the North-Eastern Argentine city of Resistencia. Argentina defeated the French Barbarians 23-19. In playing in Avellaneda Los Pumas continued playing in a variety of places across the country and more and more options are appearing as possibilities to be used to host a Rugby World Cup. The addition of Argentina to the Tri Nations to form the Rugby Championship in 2012 meant venues such as the Estadio Libertadores would become increasingly in demand. According to 2001 estimates the city of Avellaneda has a population of 328,980 making it very similar in size to Cardiff which has hosted matches in all Rugby World Cups played in Europe, including the 1999 Rugby World Cup final. The city´s Millenium Stadium will also host matches for England 2015. Avellaneda also has a larger population than a number of English cities which are to host matches in 2015 including Exeter, Gloucester, Leicester and Brighton and is larger than also but two of the cities to host matches at Rugby World Cup 2011 in New Zealand. It is part of Greater Buenos Aires which has a total population of over 13 million, or one third of the country's population. In being located between Buenos Aires city and the provincial capital, La Plata Avellaneda or Velez Sarsfeld stadium looms as an option to see the capital hosting matches in addition to the venues of La Plata and River Plate Stadium. The proximity to Buenos Aires city makes Avellaneda an ideal location to host Rugby World Cup matches with teams going west to Rosario or beyond, south to Mar del Plata or north to Santa Fe for subsequent matches. Los Pumas vs French Barbarians en 2011.